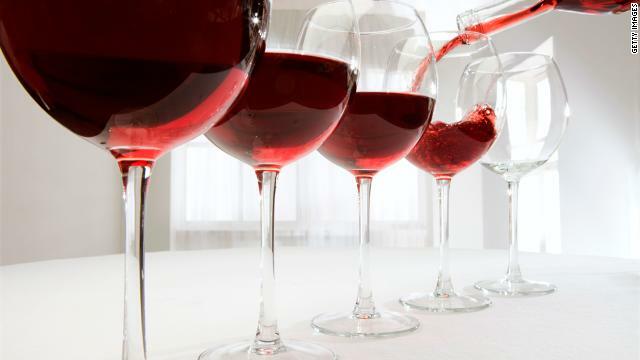 The University of Connecticut has notified 11 scientific journals that research on the potential health benefits of red wine led by one of its faculty members appears to contain falsified and fabricated data. Following a three-year investigation, a university review board has concluded that Dipak K. Das, Ph.D., the director of the Cardiovascular Research Center at the university's school of medicine, in Farmington, manipulated research data in at least 145 instances. The misconduct spanned seven years and 26 journal articles, according to a report issued by the board. "We have a responsibility to correct the scientific record and inform peer researchers across the country," said the university's interim vice president for health affairs, Philip Austin, in a statement. Das is well-known for his research into the heart-healthy properties of resveratrol, a compound found in red wine and certain plants that is now sold widely as a nutritional supplement. Das has led or participated in dozens of published studies on resveratrol, many of them funded by the National Institutes of Health. The University of Connecticut launched its investigation after the U.S. Office of Research Integrity, part of the U.S. Department of Health & Human Services, received an anonymous tip in 2008. The review board's report details numerous alleged instances in which Das improperly combined results from several experiments by altering a type of digital data readout known as a Western blot. In at least some cases this made the data seem more coherent, the report suggests, although university officials said it's unclear whether the alterations were enough to change the overall conclusions of the research. The University of Connecticut Health Center has begun dismissal proceedings against Das. Administrators have also frozen all external funding to Das's laboratory and turned down $890,000 in federal grants awarded to the researcher. Das did not respond to an email requesting comment. When contacted by the review board he denied any knowledge of the image manipulation, but given the evidence to the contrary the board concluded that his "statement lacks credibility," according to the report. Resveratrol researchers say the university's allegations aren't likely to have a resounding effect on the field as a whole. Das's focus, heart disease, is just one of the health problems researchers are trying to target with resveratrol, says Joseph A. Baur, Ph.D., an assistant professor of physiology at the University of Pennsylvania, in Philadelphia. "This will cause a little chaos, but Dr. Das's research was very much in the area of heart health, so the broader field is still on a solid foundation," says Baur, the coauthor of a 2011 review article on resveratrol. "Research is not being brought to a screeching halt. The field will go on, even though this is something you never want to see." Health.com: Resveratrol: miracle supplement or rip-off? Researchers in labs around the world are studying resveratrol for its possible effects against cancer, obesity, diabetes, inflammation and aging. The compound has been making headlines since initial research showed that it helped obese mice live longer, says James Smoliga, Ph.D., one of Baur's coauthors and an associate professor of physiology at High Point University, in High Point, North Carolina. Much of the research to date has been promising, Smoliga says, but most studies - like those led by Das - involve only laboratory experiments and animal trials. Few clinical trials have been conducted in humans, although several long-term studies are now under way. Wonder how many wine and cheese tasting parties the Professor, his researchers, and the mice had at tax payer expense? Ah, academia, the good life! Yeah, Tony. Academia is for sissies. Better if we all stay ignorant and believe whatever our corporate masters and their politician wh ores want us to believe. Scientific inquiry is so gay. The answer could very well be zero. To live well, get yourself a scientific grant. LOL! Spoken like only a non-scientist who has no clue. If you think we go into science for the perks or for the money, you're sadly misinformed as to the lifestyle or salary of the average scientist. If this guy tweaked his data it was probably out of some misguided desire to support a hypothesis that he saw as being well-supported, unless (like the small handful of climate-change-denying "scientists" who are in the pay of the oil companies) he was on the take from the wineries. Maybe Gallo paid him to publish these results? You can rest assured that tax dollars did not buy any wine; if his research was federally funded then he had to account for his own expenditures in detail and alcohol is expressly forbidden. As a biomedical researcher holding a Ph.D. in a tenure-track position, I can tell you that Academia is only for those whose passion is science. Most of us work 60-80 hour weeks for the same pay as some idiot who got a useless bachelor's degree and who is not using it. Academic scientific medicine is a punishment. It is exactly analogous to owning a small business with all the work and risk included but never the financial payoff. I do my own experiements, write my papers and also have to find funding to cover ALL of my salary, research expenses and the salaries of those who work with me and yes, the "school" I work within wants a gigantic 62% chunk of my grant to pay "rent" and utilities on the lab space I'm sharing with four other faculty. Even though Academia is not for the weak or lazy, I NEVER condone cheating or falsification of data in any way. Science is still a noble, though difficult, profession. I wish the public had some kind of clue of what really goes on. I would like to volunteer for the human clinical studies on this. I prefer a good merlot, syrah or pinot please. And if we have to re-run them 100 times to get it right, we will. Because that's what it takes to be outstanding researchers. Wine and cheese tasting parties? Is that supposed to be some sort of poke at "elitist liberals"? Because decent wine and cheese really aren't that expensive. And college profs aren't rolling in dough, most of the time. Oh, read the article...his research was funded in part by government grants. And there are liberal mice? Hey, Tony, it's not our fault most conservatives are knuckle-dragging stupid people. You're correct. Decent wine and cheese don't have to be expensive. The type liberal elites like is. Got it? Good. Did Tony say they were liberals? Or do you recognize yourself in his description. Some of us are perfectly capable of reading what a person is implying. The article says nothing about any wine and cheese parties, nothing about cheese at all. Unless Mr. Portland tony can show us some evidence that there were such parties, then perhaps we can get back on-topic and discuss what the article is about. Honestly, who cares what scientists say? They change their minds every day about what will or won't kill you. I say drink up. Enjoy it while you can because guess what... living will kill you. Actually no, scientists don't change their minds all that much; what happens is that journalists and communications people are only interested in coming up with gripping stories and so play fast and loose with scientific results. I am married to a university researcher and one university journalist kept trying to cast his carefully collected data into an exciting story. She was claiming he had discovered something, while he was saying no, his results only suggested that existence of something and that further research was needed to prove it. Not the same thing. They ended up having a big fight on the phone because she was not getting the message that what she wanted to write was factually untrue. Oh come on. Who doesn't falsify information when it comes to wine. I tell people that I drink two glasses of red wine every night, but what I don't tell them is that each glass holds 10 ounces of wine. I bet you a bottle of Jean Bousquet Pinot Noir that they had to change the recommended dosage to 1 glass instead of 5 glasses so they don't get crap for promoting drinking. So cheers everyone! I have two vodka martini's each night myself.. Forget Red wine. Eat more bacon! SuolCatcher is right. Bacon and butter are my two best friends. "dismissal proceedings"...?? Only in the world of edcuation could someone do something like this and have "dismissal proceedings". This is why we need more Donald Trumps running things. "Prof. Das, YOU'RE FIRED". Case closed, end of story. Das spends his remaining work years cleaning toilets. Dismissal means he's being fired. I don't get your rant. Right–if you're getting caught up in the term 'dismissal proceedings', I think it's just referring to whatever process they have in place to fire the guy. My point is there are porceedings. How long will this take? Months? Is it guaranteed that he will be fired after the "proceedings" are done? It takes about 5 seconds to say "YOU'RE FIRED, get out !" f, you clearly haven't spent any time in Academia. Actually, if you think the "Donald Trump way" of doing anything flies anywhere, I'd say that you haven't spent any time in the real world either. I give credit to the University of Connecticut, it must have stung to do this. Makes you wonder how many universities have their courage or would rather sit on their secret. Reminds me of the joke: "Researchers have found that clinical trials are the leading cause of cancer in mice." MILLIONS TO BE ASSASSINATED FOR THE SAKE OF $$$ LIABILITIES(mk-ultra, chip implants, electroshocks etc. performed on them) AND NEW WORLD ORDER(multiculturalism = terrorism) POLITICAL AGENDA KNOWN AS "YOU ARE NEXT"(financial liabilities are 2 expensive for the government and it is cheaper to get read of you instead) !!! IF YOU WERE TREATED WITH ELECTROSHOCKS OR DRUGS USED FOR WIPING OUT MEMORY(numerous Americans and Europeans were and are) AFTER ENDURING FORCED CHIP IMPLANTS(or to retard individual = also how homeless people are produced), YOU ARE SCHEDULED NEXT !!! NOW YOU KNOW WHAT ORWELLIAN UNITED STATES CONGRESS(USSR#2 which consists of lawyers or what are liars and physicians...lawyers, so crime per physicians can get away with it) AND OTHER GOVERNMENTS WORLDWIDE ARE SOOO BUSY WITH WHEN PLAYING/CLOWNING(acting) IN FRONT OF CAMERAS ONLY HOW SOMETHING HAVE TO BE DONE(deliberately omitting/delaying facts of genocide as seen on this complain) !!! ABDUCTIONS / FORCED BRAIN ELECTRODE/CHIP IMPLANTS / BLACKLISTING / FORCEFUL UNEMPLOYMENT / MK-ULTRA BRAINWASHING AGAINST WHITE(under "NAZI" lie) CIVILIAN POPULATION TODAY IN 2011/2012 ACROSS THE EUROPE AND NORTHERN AMERICA !!! http://www.youtube.com/user/BostjanAvsec OBAMA'S HEALTH CARE RECORDED LIVE IN 2009 !!! EXILING WHITES(US citizens) WITH EXTREME PREJUDICE AND IMPORTING NON WHITES IMMIGRATION REQUIREMENTS FREE !!! What the hell is this conspiracist trash? Why didn't you spell check this stupid video? And who the hell is Alex Jones? And why did you let anyone place a microchip in your brain? You are a psycho and should be identified and taken out of circulation. You are a menace to society. Sir, please seek some help. I know this may seem connected to you, but your statements are not logical. Not you again! Go Away! Every field has its bad apples. Just have to toss them out quickly when you find them before any further damage is done. Cliff, are you ok with having samples taken from all your body systems for histological analysis? I can do punch biopsies and a monoorchiectomy in no time flat. Don't know what that is? Don't sign on the line until you do. Since when alcohol has been good for the mankind? Stop the pseudoscience and stop funding the pseudoscientists like Das. Ben Franklin once said, "beer is proof God loves us and wants us to be happy." I imagine it works for other forms of alcohol as well. It's reserveratrol that is reported to be healthy. Nobody supports your assertion that ethanol is healthy. Please learn to read or do you have fetal alcohol syndrome? I have always known his information was false. I have read reports from cardiologists and the Mayo Clinic that have ANY alcohol for people is bad. For every glass a person drinks, they increase their chances of cancer. Alcohol has been linked to diabetes, cancer, cirhosis of the liver, and heart and liver damage. It would take drinking 15 bottles of wine a day to get the benefit of the ingredient resveratrol. A person can get the benefit of it from drinking red grape juice without the risk of diseases. You have to wonder just how many medical studies involve falsified data. Cheating is rampant in college. Some of those who are so willing to lie for grades will surely be as willing to lie for money, prestige, tenure, etc. As for those claiming that university professors don't make a lot of money – what planet are you on? Many professors at UConn make well over 6 figures. Depends on your university. My professors, who are amazing, brilliant scientists, could barely afford health care when I was there, and it hasn't gotten any better since I've graduated. A is right. It totally depends on how many grants they're on, what kind of salary they were offered to teach at the university, the funding available to the university AND the department, some level of prestige, etc etc. Almost all of my professors, including my graduate advisor, live in tiny homes where they scrape together enough to live a very modest lifestyle. I can think of only man in the whole department who lives comfortably, and he practically never sleeps due to the number of grants he works on ... the man is also a veritable rock star in his field. It's funny that people think professors are rolling in the dough. Have they ever even been to a college campus? What do you see in the faculty parking lot, Hyundais or Ferraris? Anyway, if you want to make millions and be a university employee, you coach the football team. Sooo... What does this say about the research conducted on the REST of the Mediterranean diet? Another foreign fraud, paid by US taxpayers to live well in this country. Meanwhile good homegrown scientists are out of work. This is why everyone is so confused all the time. We put so much trust in the scientific community and government to tell us what's best for our health, what drugs are safe, etc. This proves along with many other examples that while scientific research is important to our health and future, it isn't without faults. Just because a peer-reviewed journal says it, doesn't always make it true. People are loosing trust in scientific community and government at an alarming rate. Free Radic Biol Med. 2008 Jan 1;44(1):82-90. Epub 2007 Sep 21. Redox regulation of resveratrol-mediated switching of death signal into survival signal. Das S, Khan N, Mukherjee S, Bagchi D, Gurusamy N, Swartz H, Das DK. Cardiovascular Research Center, University of Connecticut School of Medicine, Farmington, CT 06030, USA. How had this not been caught earlier? Does anyone read these papers? The problem with funded research is that you are given the correct answer before you start or there is no funding. Nice to see he brought the corruption the Indian continent is renowned for to the U.S. I'm sure they falsify the negative views of Marijuana too. Need some Keyword1 ? Come and get it! Great post. I used to be checking constantly this weblog and I am impressed! Very helpful information particularly the closing phase 🙂 I handle such information a lot. I used to be looking for this particular information for a long time. Thank you and best of luck.